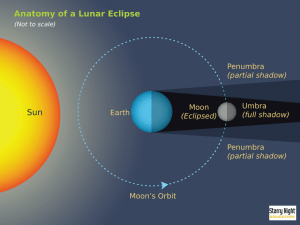 In light of the total lunar eclipse on Saturday April 4, please enjoy these five facts about lunar eclipses! Saturday morning’s lunar eclipse will be visible in the Americas and Asia starting at 3:16AM PT/ 6:16AM ET, with totality happening at 4:58AM PT. Those living east of the Mississippi river will only see a partial eclipse because it will be interrupted by sunlight, whereas those living west of the Mississippi will see the total eclipse (weather conditions permitting). If you don’t live in a part of the world where the eclipse is visible, you can always tune in to the Slooh observatory’s Breakfast on the Moon Show! During a lunar eclipse, Earth’s shadow is visible creeping across the moon’s face, and this shadow will grow until it completely covers the moon. 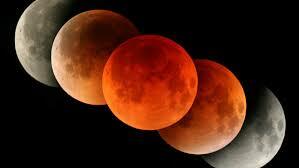 Then at totality, when the moon is fully covered by the Earth’s shadow, the blood red tinge will appear. This short NASA video does a phenomenal job describing why the moon turns red during an eclipse. According to the astronomy experts at Earth Sky. 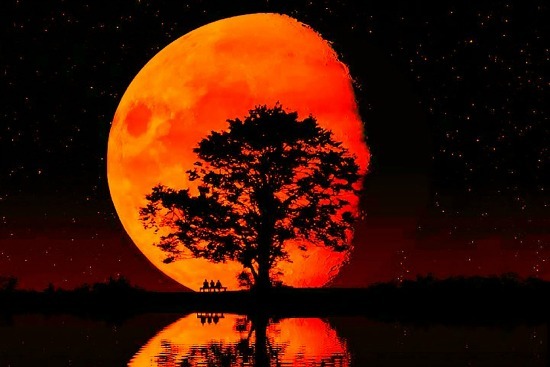 org the term “Blood Moon” is new to astronomy per say, and actually comes from biblical prophecy, specifically, Christian Pastor John Hagee’s 2013 book, Four Blood Moons. 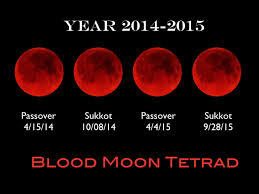 What makes Saturday’s blood moon so significant from a religious prophecy perspective is that it is part of a rare series of four full lunar eclipses each spaced out six months apart, known as a lunar tetrad…all falling on Jewish holidays! Given that biblical prophecy is very far from my area of expertise, if you want to know more, Earth Sky does a good job with a shorter summery or go here for a more in-depth look at the biblical prophecy and decide for yourself. 3. Lunar Eclipses Last Much Longer than Solar Eclipses.. Although Saturday’s is the Shortest This Century! Lunar eclipses can often last hours, while solar eclipses usually only last a few short minutes. During some lunar eclipses, totality (where the moon is completely covered by Earth’s shadow) can last up to an hour. However, Saturday’s lunar eclipse is the shortest of the entire century according to NASA, with totality lasting only 4 minutes and 43 seconds! This is because the moon is skimming the outskirts of the Earth’s shadow, instead of passing centrally through it. Make sure to be outside no later than 4:58 AM PT to see it! All the talk of biblical prophecy aside, in many cultures the belief exists that full moons and lunar eclipses have some kind of impact of human feelings and behavior. For example, in ancient cultures, it was strongly believed that the lunar cycle impacted women’s hormones and fertility. Given that full moons do impact the tides, and the human body is at least 70% water, maybe it makes sense that lunar eclipses could have some impact on women’s menstrual cycles or on the body’s circadian rhythm. And yet, the scientific evidence has been relatively inconclusive. However, as I mention in this article, from a psychological perspective, the belief that a lunar eclipse may impact your behavior might actually create this reality. 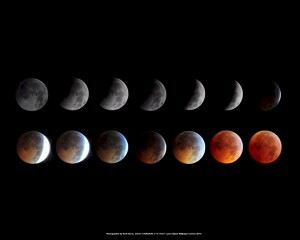 Thanks to a social psychological phenomenon known as ‘Self Fulfilling Prophecy’, making a statement like “the lunar eclipse means I have the opportunity for new beginnings” can put you in a state of mind where you become more open and more likely to allow those new beginnings into your life. In the astrological world, lunar eclipses are usually associated with releasing what no longer serves you to create new beginnings and spur your personal growth. However, the exact changes that are stimulated will depend quite a lot on the astrological signs that the sun and the moon fall into during the eclipse. For example, on Saturday, with the Sun in Aries and the moon in Libra, these signs symbolize relationships more than any other signs in the zodiac! So, this eclipse is all about forming new, aligned relationships, releasing relationships that do not serve you, and nurturing the relationships that will continue to remain in your life. Conflict resolution and communication re-boots are huge themes during this eclipse. My advice is to never forget that the most important relationship you have is the one with YOURSELF and that you must also nurture and put love into this relationship! Just imagine what it would be like to be your own cheerleader, and you gave support and love yourself in the same way you do to your friends and loved ones. NOW is that time for you to love yourself unconditionally and release any self-loathing or self-doubt you are still carrying. If you are looking for more on the astrology of this eclipse, check out this absolutely fantastic write-up by astrologer Salvador Russo on Starseed Astrology. Dr. Kelly Neff is a renowned psychologist, author, founder of The Lucid Planet and the host of the nationally syndicated new talk radio show, Lucid Planet Radio, airing Wednesday afternoons at 5pm ET. She has reached millions of people with her articles on psychology, transformation, and wellness, which have been featured on websites like The Mind Unleashed, Mind Body Green, My Tiny Secrets, and now, The Lucid Planet. Before she became a full-time author, Dr. Neff spent seven years as a psychology professor where she helped thousands of students learn about health, relationships, love and sexuality, and co-authored the groundbreaking manual in her field, Teaching Psychology Online. She has a B.A. in Psychology from Georgetown University and an M.A. and Ph.D. in Social Psychology from Claremont Graduate University. Dr. Neff is an avid participant in the visionary art, music and culture scene in her home state of Colorado and beyond. You might find her traveling the globe to give workshops, speeches and do research at transformational festivals. You can find her on Facebook and Twitter. Light and Love!